One of the frustrating things about reviewing Dreamworks films is many of their movies come close to being good but can’t quite pull it off. Particularly their comedies often have great casts, promising premises, inviting animation but the jokes fall flat leaving me annoyed. 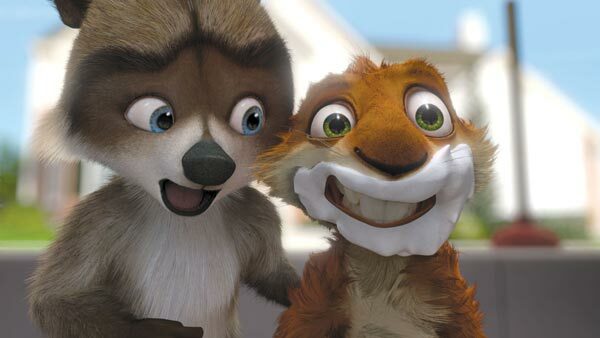 Over the Hedge, made in 2006, is no exception to this rule. 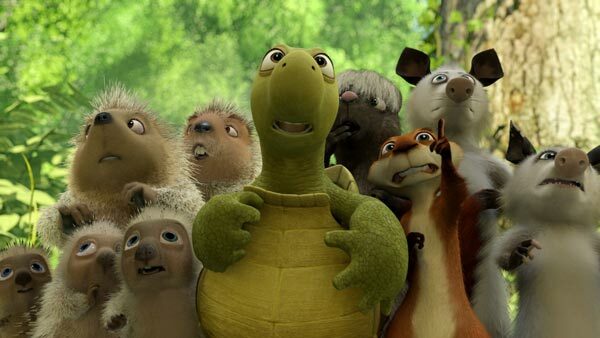 In fact, Over the Hedge is particularly frustrating because it starts out with such potential! I kind of wish it had just been a 30 minute short because that first 30 minutes is great. Unfortunately, it can’t hold that momentum for the 83 minutes run-time and becomes a generic at best kids movie. This food glory sequence is funny because it is relevant social commentary. It still makes me laugh how it shows driving and dressing like food. From an alien perspective (or animal) we really do focus way too much on food in America. There’s no doubt about it and that is funny. 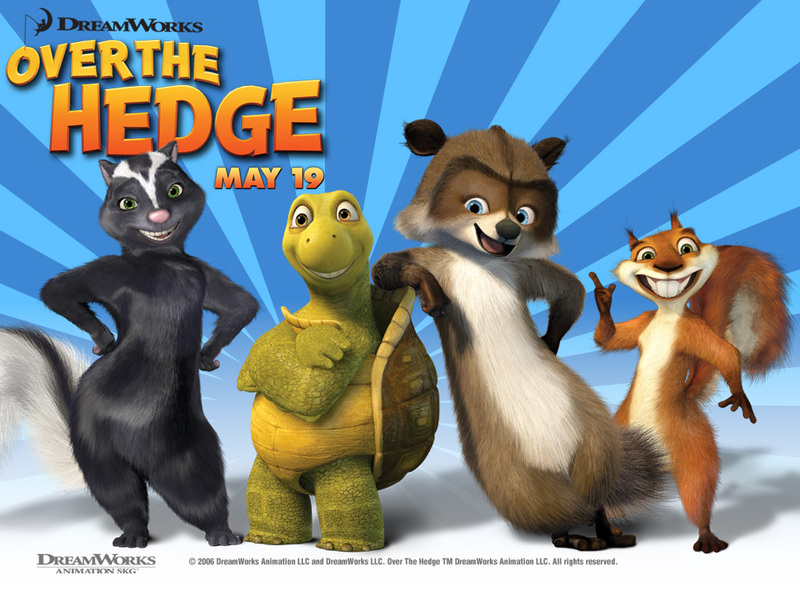 However, once this setup is over the rest of Over the Hedge becomes a Toy Story rip-off. Verne the turtle is Woody and RJ is the new hip Buzz. You have a ton of other characters voiced by famous comedians but they aren’t really given anything to do (Plus they repeat the same jokes over and over again). Bruce Willis, Garry Shandling, Steve Carell, William Shatner, and Wanda Sykes are all wasted in their roles. The last act of the movie is the animals trying to steal food from a woman who has a heavily fortified house. Why wouldn’t they just pick another house? It’s a subdivision so they have lots to chose from. It’s clearly just to manufacture tension and a dramatic car chase scene at the end. Instead, it all feels like filling time, like they were stretching 30 minutes of an idea into over an hour, which is probably accurate. It is very predictable and nothing really engages the viewer. We know RJ is lying to the crew and exactly when he is going to feel bad, be exposed and make up with everyone. Formula movies are fine but there needs to be more to entertain than in this. I also think it is a little weird the characters spend the entire movie stealing from the humans and are never really punished for this. Not the greatest example for kids! As a plus the animation is pretty decent and kids will be moderately entertained by it. It’s not awful but not very memorable either. I would say watch the first 20 minutes and then find something else to do with your day! I personally like this film! I agree with everything you said. After watching it really, it’s one of the most generic films I have ever watched. It isn’t bad, but there is nothing memorable about it. Such a huge waste. I haven’t seen this film for a while, but I’ve never really had a compelling reason to re-watch it. The animation is colorful but I remember that the humor was a mixed bag. Like you, I find DreamWorks hard to understand. They routinely assemble glittering casts but the results are usually less than stellar. What frustrates me even more is that they can put out a good film like Prince of Egypt and follow up with something like Road to El Dorado. There’s just no consistency of quality at all. I haven’t seen the film for years, but I do remember liking it quite a bit when I first saw it. I quite liked it when it came out but when it came to rewatches I found it quite bland and I completely agree with your point about the first 30 minutes being great 😁. Really? I remember watching this when I was younger and really enjoying it. Now that I think about it, though, the plot died seem rather irrational. Great review as always! I respect your opinion completely, and trust you. I bet if I watched this movie again with more of a critical eye, and older than six, I would enjoy it a lot less. I’m wondering, what are your thoughts on Frozen 2? And do you know when it comes out? I’m excited for Frozen 2. 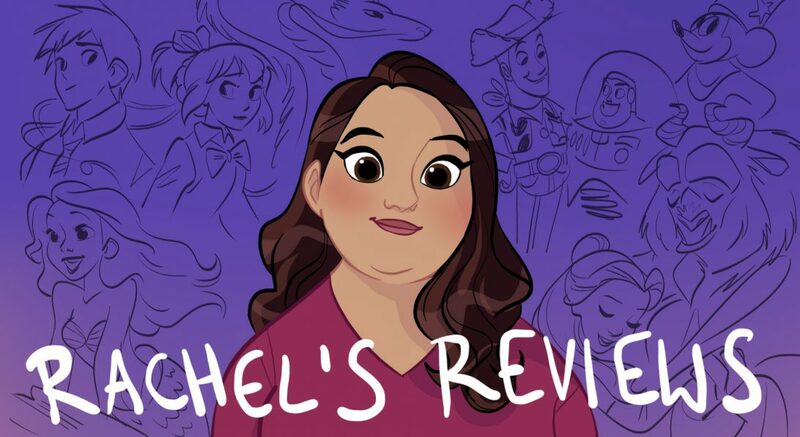 I feel there is a lot of potential with the 2 sisters of stories you could tell and ways you can improve upon the previous film and make it even better. I believe they just announced it will be coming out November 2019. I’m kind of disappointed they are pushing Gigantic back to 2020. I was looking forward to that one. I remember wanting to see this film around the time it came out, being enticed by the trailers, but I lost interest in seeing it and never put any thought to it again. I didn’t even read the reviews, it just went off my radar. 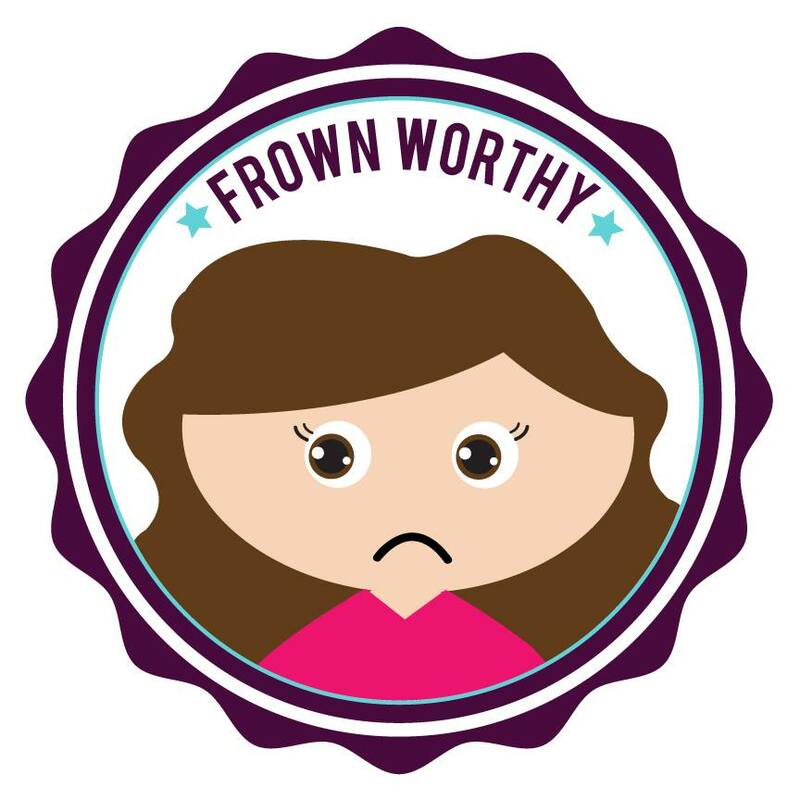 Now that I’ve seen Doug’s DreamWorks-Uary review for and how disappointed he was with it, I think it will remain unwatched until I decide to see it just to say I’ve seen all the DreamWorks films.